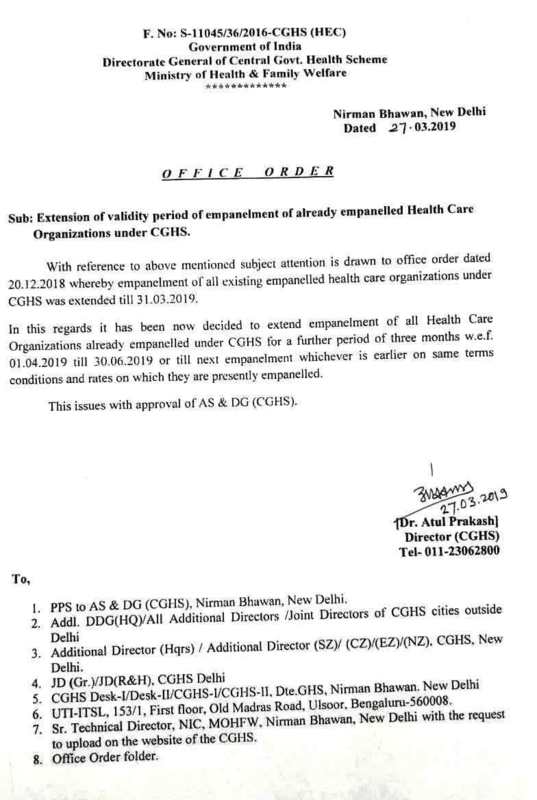 Sub : Extension of validity period of empanelment of already empanelled Health Care Organizations under CGHS. All Health Care Organizations empanelled under CGHS for a further period of three months w.e.f. 01.04.2019 till 30.06.2019 or till next empanelment whichever is earlier on same terms conditions and rates on which they are presently empanelled.